We currently carry Mimosa 100% all-natural cannabis tobacco-free cigars. These cigars are meticulously hand-crafted by Artisan Canna Cigars using Mimosa V6 flowers, hash, and rosin grown by The Village. 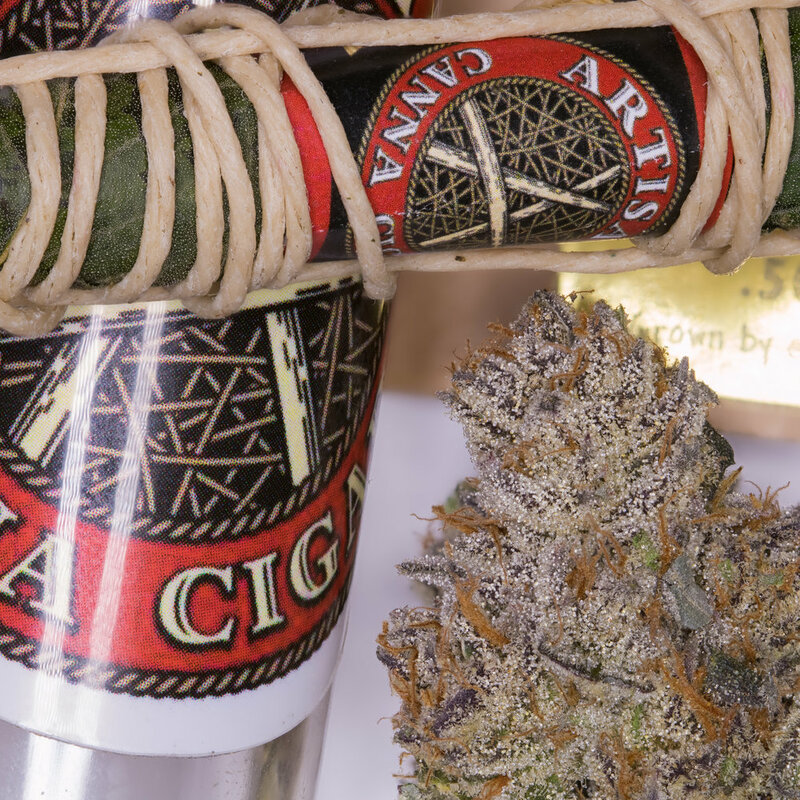 Each cigar contains 3.5 grams of flowers, 0.75 grams of shatter, & 0.50 grams of dry-sift. The cigars are made of 100% cannabis, and contain zero tobacco, paper, or glue. The cigars are wrapped in cannabis leafs which are infused with terpenes extracted by Blue River Extracts. These cigars are very slow burning and have a smooth flavor with hints of GDP. Perfect for long smoke sessions! A real heady treat for the most highly discerning connoisseurs looking to indulge.